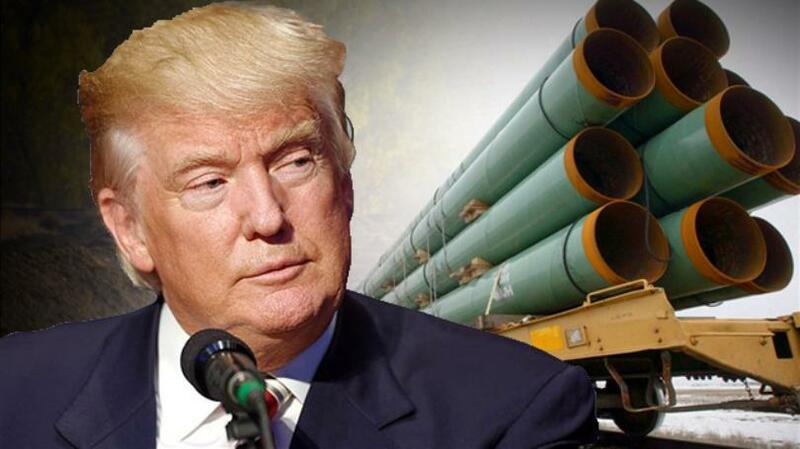 President Trump has now signed a Presidential Permit to advance construction of the Keystone XL pipeline. We at Our Children’s Trust stand in solidarity with all those who have been fighting KXL on the front-lines for the past seven years, including the Cheyenne River Sioux, Oglala and Rosebud Sioux Tribes, and denounce this latest attack on our climate, water, health and indigenous rights. President Trump is a named defendant in our federal lawsuit, and this dangerous and reckless approval is yet another example of the US government taking affirmative action to destabilize our climate. The federal government has known about climate change since the 1950s, including the danger to ecosystems, human lives and future generations. And yet, despite this knowledge, the federal government has consistently and aggressively promoted a fossil fuel energy system. If built, the Keystone XL pipeline would epitomize this dangerous and negligent pattern of decision making by the federal government. #KXL would be responsible for at least 181 million metric tons of carbon dioxide equivalent (CO2e) each year, comparable to the tailpipe emissions from more than 37.7 million cars or 51 coal-fired power plants. Tar sands crude is significantly more carbon intensive than conventional crude, and just the additional emissions from the tar sands in Keystone XL - above average emissions from producing non-tar sands oil - are equal to Americans driving more than 60 billion additional miles every year. All when we need to be reducing our carbon emissions. Building and operating the Keystone XL pipeline would be a climate crime. This #youthvgov lawsuit (Juliana v. U.S.) was brought by young people who are rising up to protect their futures and defend the planet from climate injustice. Young people, communities of color, and low-income communities are on the front-lines of the climate crisis and we need to stand together now. In the face of the Keystone XL approval, the climate recovery remedy our youth are suing for is needed more than ever. The youth plaintiffs seek a court-ordered national Climate Recovery Plan that would put us on the path towards a climate stable future, making new dirty energy projects such as the Keystone XL Pipeline illegal, as well as any other new major fossil fuel infrastructure projects. Action in the courts is needed now, in addition to action in the streets. While the Trump administration moves to approve the KXL permit, government and fossil fuel defendant lawyers have also moved to delay our lawsuit. We call on our allies and supporters to stand with us, to stand with the youth and future generations, and loudly and clearly say no to the Keystone XL pipeline and similar pipeline projects that threaten our future. Join us. Morgan Curtis is serving as Digital Storyteller for Our Children’s Trust, working on amplifying the #youthvgov story around our nation and the world. You can contact her at morgan@ourchildrenstrust.org. Daniel Jubelirer is a National Climate Campaign Field Organizer for Our Children’s Trust, supporting grassroots and nationwide mobilization for the #youthvgov lawsuit. You can reach him at daniel@ourchildrenstrust.org. Newer PostRecognize February 5th as a day #youthvgov should have been in Court.